We are only a week in to the term and I’ve lost it with lunch boxes already, I just find them so utterly boring. So in true Smart Happy style I’ve come up with something that might just perk everyone up. 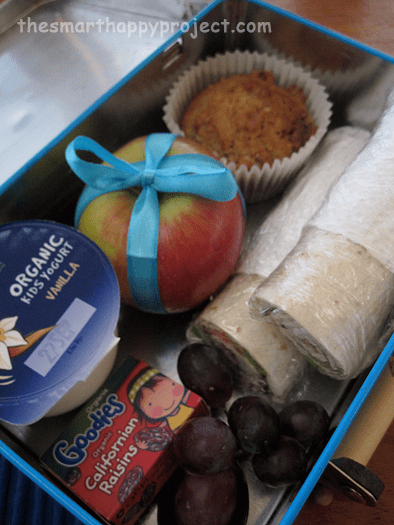 Make you child the star of his own lunch break, all you need is to include an APPLE on the menu. 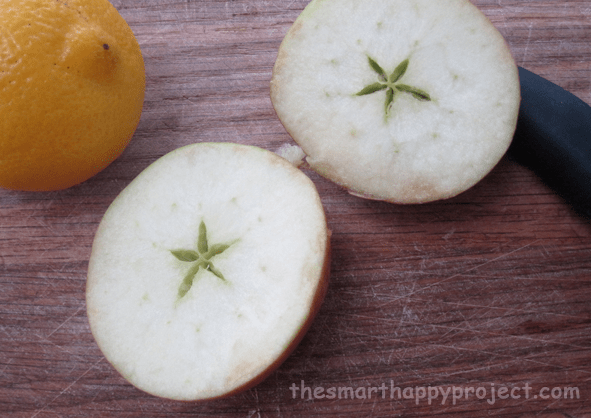 Slice the APPLE in half – remember through the tummy of the fruit – to reveal the perfect star inside. Remove the pips from it just to make it an even more perfect star. Squeeze some lemon juice on the flesh to stop it discolouring, you know they won’t eat it if its brown. Piece it back together and gift wrap it in a length of ribbon. Pack all other ingredients as usual. Doesn’t that look exciting? 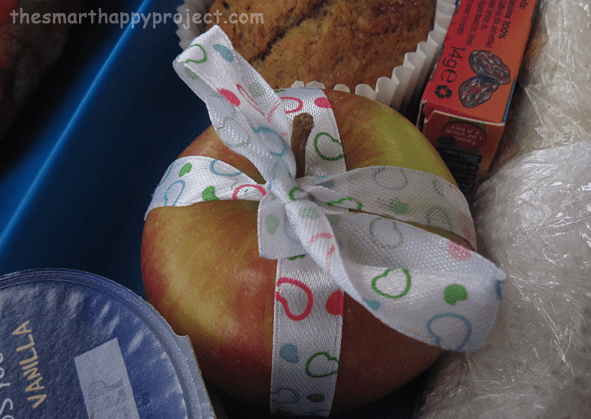 a little present in each lunchbox. When you send the kids on their way, mention there is a star in the lunchbox and they need to find it and share with a friend. Your child is happy as s/he has got a special surprise at lunchtime. You’re happy because you know that each little step takes your child closer to appreciating the wonders of the natural world and how that will serve him well throughout life. The whole class is happy and making friends via little apple stars. It only takes 30 secs, so what are you waiting for? It won’t go unnoticed in the classroom. So grab the apples and get started. Please share this post on Facebook, help others to relieve the boredom of lunch boxes and to discover natural geometry. Lets start a movement here, hundreds of apple stars for lunch. Bring it on! Don’t forget to sign up for the email newsletter for more tips on geometry and nature. PS: I did make an extra special effort with the contents of lunch because I was taking photos of them, they don’t usually look quite so well stocked and presented.